Letterbox opening to receive approx. 45 garments. Fitted with standard mastered cylinder locks with 2,000 differs. Pre-drilled holes and nesting bolts (supplied) make the lockers perfect for joining side by side. Ventilated and strengthened doors with rubber buffers. Powder coated with Germ Guard Active Technology paint. 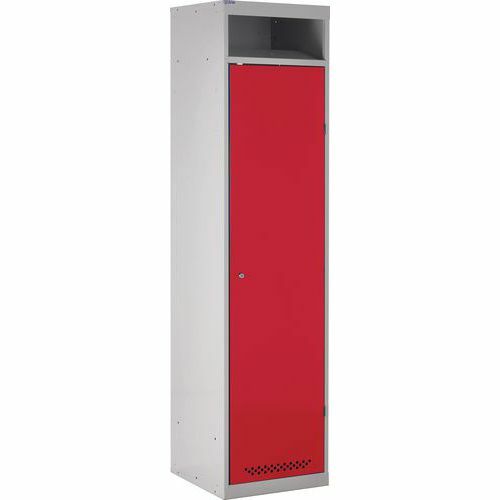 Lockers with a letterbox opening ideal for exchanging dirty work clothing.